Optimize personnel to reduce the labor costs that, for large-scale electric utility construction projects, could account for up to half the final budget. Use data models in JMP to identify areas for improvement after systematically tracking and evaluating construction crew productivity; roll out optimizations to other parts of the company. The data science team is helping to reduce overall labor costs and project time with its data-driven labor force optimization strategy; the team continues to develop models addressing other challenges across a range of construction projects. In the electric utility construction industry, few companies rival the size and expertise of Edmonton-based Valard Construction. 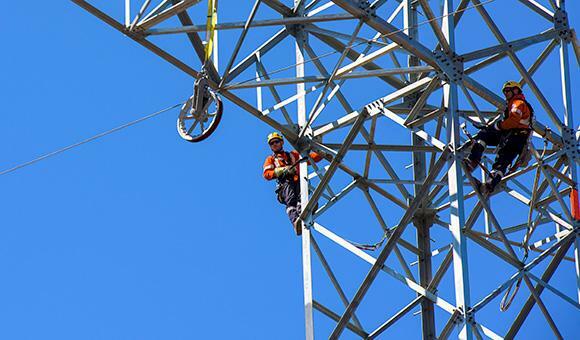 Now with over 3,000 employees, Valard has designed and executed large-scale transmission power line projects for customers across Canada since 1978, providing a full-service engineering, procurement and construction solution while maintaining rigorous safety and quality standards. 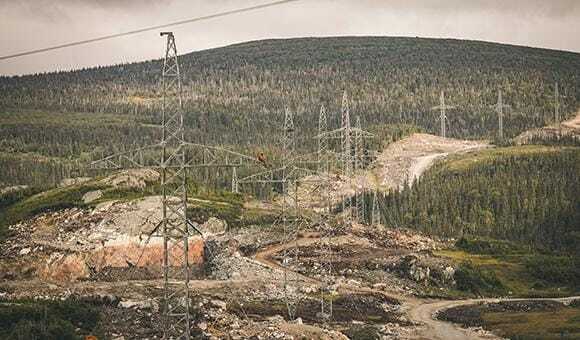 The bulk of their employees work in the field, as these projects are highly labor-intensive; a typical large-scale transmission project involves several hundred towers and can cost over $1 billion. 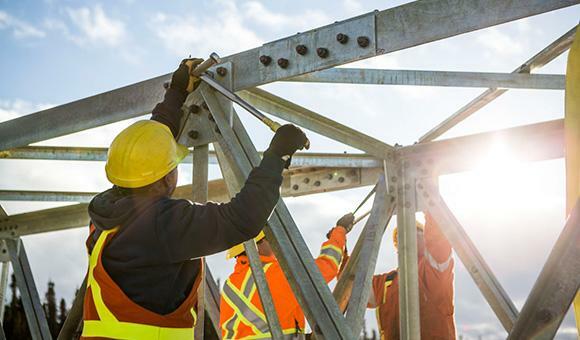 With such large budgets, even the smallest change in productivity can have a large impact on project costs and timelines; as such, effective labor management is key to success in this industry. Traditionally, the construction industry has relied heavily on project managers and foremen to determine necessary staffing levels and ideal work conditions. While the on-the-ground knowledge of these veteran staff is an invaluable resource, the steep costs of labor invite a closer, more analytical approach to project planning and cost management. Given the impact of labor on construction budgets, optimizing productivity by even a small margin can significantly affect timelines and costs. However, measuring productivity can be a complex task. “You have crews that work on the tower, then the next day another crew comes,” says Roupassov. “It’s very hard to actually quantify what each particular individual has achieved during a workday. You know they’ve spent eight or 10 hours, but how much actually has been produced?” In his effort to quantify productivity more accurately, he has evaluated various operational and accounting data from all over the company, including timesheets, GPS location data and types of activities performed. Valard has designed and executed large-scale transmission power line projects for customers across Canada since 1978, providing a full-service engineering, procurement and construction solution while maintaining rigorous safety and quality standards. The complex intersection of data and personnel necessitates a robust tool that can support Roupassov throughout the model development process. To start, collecting various operational data from across the company can be tedious. “We have the data in the data warehouse and several databases,” Roupassov says. “JMP is good because it allows you to easily connect to various data sources and integrate and clean data, that’s a big thing.” With other responsibilities competing for the time of his small team, these functionalities enable Roupassov to focus his attention on more challenging aspects of modeling the data. “Crew identification and tracking is kind of cumbersome to deal with,” says Roupassov. “The main point is, crews do not stay constant – they change all the time.” Finding a way to effectively model crews that are constantly in flux poses a challenge, but one that he has been able to overcome with a combination of tools like JMP clustering and his own code developed for this project. Conducting such an analysis of crews on a recent project, Roupassov was able to categorize 96 distinct crews and subsequently analyze crew productivity as they assembled towers on a given project, allowing him to better understand the factors that affect their productivity. These capabilities allow the team to effectively communicate their findings with staff across the company in a clear, dynamic way, from project managers all the way up to the executive level; this ease of communication is particularly important as the team seeks to build a set of practices that will help the company to maintain a competitive edge. “In my industry, the models that I build have to be explainable,” Roupassov explains. “Neural networks, for example, I can’t use in many cases. Maybe a neural network model would predict better, but it’s not easily explainable. How would I communicate the reasons why I’m making these conclusions if I can’t explain how the model works?” With the interactive, easy-to-understand visualization capabilities of JMP, the data science team can clearly convey their findings to key decision makers. Roupassov is using the various tools that JMP offers to create a model that will soon be deployed to optimize productivity on many of Valard’s projects. By tracking crew productivity and clearly understanding the key variables, project managers will be able to objectively evaluate optimize crew performance. “It would also help people to forecast if they see that the productivity, for example, is not as high as we expected. We can then adjust the forecast, maybe bring more crews in to stay on schedule,” he says. Using statistics in this way pushes against the conventional wisdom typically relied upon in construction. Many of the upper-level managers now leading the industry don’t have a formal background in analytics or statistical modeling, but despite this being a new concept in the industry and the company, they have been very supportive of the analytics work being done. “JMP data visualization and interactivity has helped managers see the unexploited possibilities to make the business more efficient. And changing [former ways of thinking] is not easy.” But, Roupassov says, for companies who are willing to embrace the new data-rich environment, the rewards are well worth the risk. And a forward-thinking analytics strategy, like the one in place at Valard, can more than pay for itself. By first engaging with project teams who are open to making decisions based on his models, Roupassov has implemented productivity improvements on a small scale that have then encouraged wider uptake throughout the company. In using this data-driven, dynamic approach to project management – and doing so before many others in the construction industry – Valard is a real pioneer.